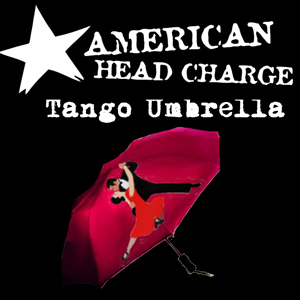 Minneapolis, Minnesota's AMERICAN HEAD CHARGE have completed work on their new studio album and Napalm Records debut Tango Umbrella. The album is currently scheduled for an early 2016 release. More details will be announced soon. AMERICAN HEAD CHARGE burst onto the national scene in 2001 with their Rick Rubin produced American Recordings debut The War Of Art. Aggressive, strange, cathartic, dangerous and, perhaps most importantly, different, they blended the industrial grind of MINISTRY and MARILYN MANSON with the tripped-out melodic experimentation of FAITH NO MORE. OZZFEST 2001 and a worldwide tour with SLIPKNOT followed. During that time, The War Of Art went on to sell in excess of 250,000 units, and it propelled the band to international acclaim with the singles "All Wrapped Up" and "Just So You Know". After dissolving in 2007 the band reconvened seven years later in 2014, supporting Wayne Static on a few select dates of his 15th Anniversary Wisconsin Death Trip Tour and returned to the UK to perform at the Download Festival along with a performance in London with KILL DEVIL HILL. Based on the success of their Indiegogo campaign, raising over $53,000 to help fund the recording of a new album, AMERICAN HEAD CHARGE entered the studio in the summer of 2014 to begin recording with producer, Dave Fortman at Third Sky Studio, in Richmond, KY. What came of this is the band's forthcoming album Tango Umbrella.